Within the sphere of church planting, there’s much talk about the Great Commission—Christ’s command for the church to “go and make” disciples (Mt. 28:18–20). While some are going and being sent, the struggle is real. I hear the confessions and feel the angst of many planters. My heart and prayers are with always with you—it’s lonely, depressing (at times), and an uphill spiritual battle (home, streets, & church). So, I would like to encourage you today with some sound advice. The words of Christ are powerful, “With man this is impossible, but with God all things are possible” (Matt. 19:26). The urgency to stay plugged in and get back to the basics, carry the purpose and veracity of the spiritual disciplines. You have been called to a specific and courageous task. You have been awarded enemy territory for the kingdom. Like Joshua, God speaks to your heart, “Have I not commanded you? Be strong and courageous. Do not be frightened, and do not be dismayed, for the LORD your God is with you wherever you go” (Joshua 1:9; Matt. 28:20). However, I think we march off to war without getting the day’s battle plan. As Martin Luther once declared, “I have so much to do that I shall spend the first three hours in prayer.” We neglect the spiritual discipline of prayer—connecting to our Lord and Master. By example, Jesus demonstrated the importance of being alone with God: “he went up on the mountain by himself to pray. When evening came, he was there alone” (Matt. 14:23). Let’s ask the question: how many hours do you devote to prayer? Do you set aside alone time with the Almighty? Maybe things are so busy that you need to write down your daily thoughts in a prayer journal? Or utilize an App like Evernote? Note-taking and journaling allow you to quickly jot down needs/concerns and pick them up later— praying over the contents? Prayer journaling sets up intentional organization, which leads to good discipline—especially during times of trial. Try it; click here for some cool affordable prayer journals, or here (and here) for some special ones. Jesus is the Word (Jn. 1:1, 1:14; Rev. 19:13). Jesus declared, “Apart from me you can do nothing” (Jn. 15:5). The work of the Holy Spirit is to teach us all about Jesus and to glorify God (Jn. 16:6–15). Therefore, studying and being in connection with the Word of God brings us into connection with the Trinitarian Godhead. Assuredly, you read the Word of God when you felt called into church planting. But perhaps over time, you’ve been so busy that you neglect your time in the Word? How important is praying over what you’re about to read? 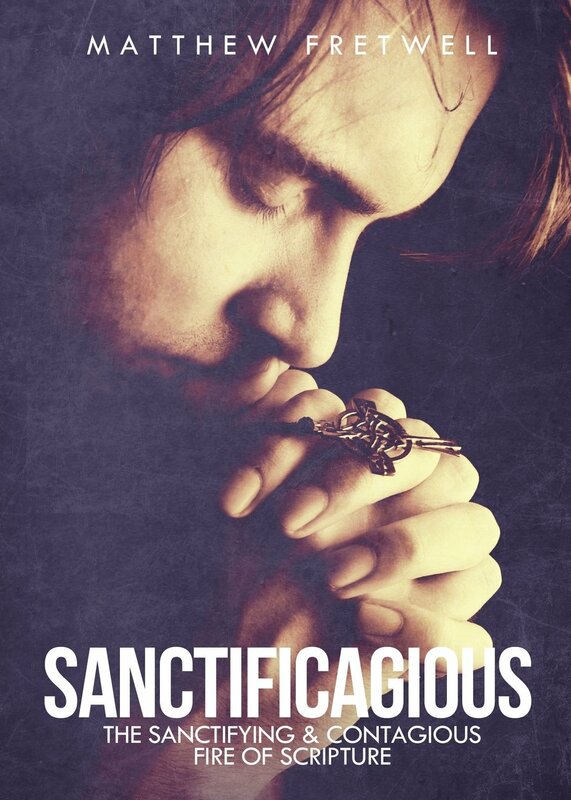 In my book Sanctificagious: The Sanctifying & Contagious Fire of Scripture, I mention how vital it is to seek God’s heart and wisdom before reading. I believe that! There is something holy and devout about getting into the Scriptures—there should be a fire within us that becomes contagious. The spiritual discipline of reading the Word for transformation, challenge, and change becomes neglected when we count our “ministry” more important than our spiritual formation. Reduced down, we’re called to be disciples of Christ, first and foremost. Following a daily schedule of reading through the Bible (and not hunting for verses) should be a foundation for our spiritual growth. Let’s be honest—this is probably the most neglected discipline of all. But, the reality is that you’re encountering spiritual forces of wickedness—celestial giants of deception and evil (Eph. 6:10–18). You need focus for the task at hand and protection from the adversary. Fasting sets aside the carnal for the spiritual. You enter the realms of spiritual warfare. Jesus didn’t say, if you fast, but joined fasting with an expectation of “when” (Mt. 6:16). We should have intentional periods of fasting. Fasting sets the Spirit in control of the flesh. From the onset of creation, man has been tempted by food—and miserably failed. The enemy knows our weaknesses and our need for sustenance. Humanity must have food for nourishment, but there are times when it is better to remember, “Man shall not live by bread alone, but by every word that comes from the mouth of God” (Matt. 4:4). Sacrificing food, not to manipulate God, but for a closer walk with God is vital. Fasting replaces eating with prayer and nourishment with God’s presence. While it is imperative to have time to study the Scriptures and to reflect upon God’s magnificent grandeur and sovereignty, devotional reading can be necessary. There are many great men of the faith that have poured out their souls with the pen. We should look to their inspiration to encourage our journey, walking with them. Devotionals should bring glory to God, exalt Christ, and challenge us by the Holy Spirit. They should manifest the presence of God. I would recommend that you read them with a pen—meaning, take notes as you scour over the pages. Don’t read for completion, but reflection. Take your time—it’s not a race. Pick it up. Put it down. Think. Pray. Meditate. These should be used as field manuals for your journey.